The 2015 Kentucky Derby was an exciting race that saw American Pharoah defeat Firing Line by one length. There were even some lessons learned that could be applied in the future. While the dust settles and the Preakness contenders are considered, there are still some questions that need to be answered even if it will not happen for many months (or possibly years). 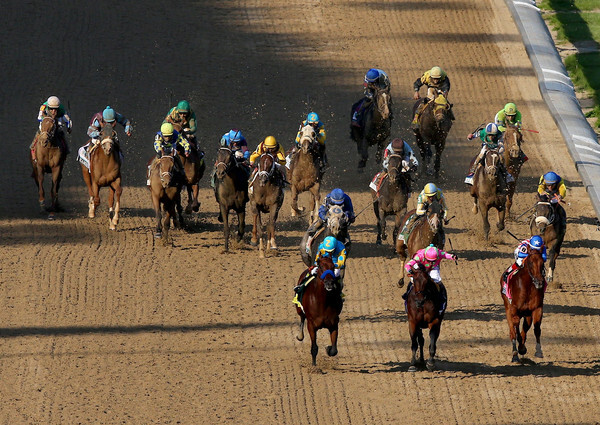 Below are unanswered questions from the 2015 Kentucky Derby. 1. Were the Top Four Finishers that much Better than the Rest? The top four finishers in the Kentucky Derby were American Pharoah, Firing Line, Dortmund, and Frosted. Those four were separated by 3 1/4 lengths while the rest were at least another 3 1/4 lengths behind. It was an easy pace for the top three as they went around the track basically as the top three throughout the running of the Kentucky Derby. Frosted was the only one of the top four horses who had to close late and he barely missed third by a shortening head. But were they really that much better than the rest of the field? Perhaps they are just head and shoulders above the rest of the horses in the Kentucky Derby, but that is probably not the case. We will see over the next few months if the top four really were better than every other horse. 2. How Good is this Crop as a Whole? Coming into the race, we had a pretty good idea about Dortmund and American Pharoah, as well as several other horses such as Materiality, Carpe Diem, Upstart, and Frosted. It turned out that American Pharoah and Dortmund were better than nearly everyone else in the Kentucky Derby. The caveat here is that we will not be able to answer this question for many months because these horses are still going to face fellow three year olds for the next few months. If we want to compare crops, we will not be able to do so for a few years when most of these horses will no longer be competing. Many have said this is one of the more talented and deep three year old crops in the last decade and Saturday’s Kentucky Derby results may just prove how good they are if the top four continue to dominate. The real question then becomes how the fringe horses, those who are considered good, but not yet at the same level as the top four, do later this year. It will be an intriguing journey to watch, that is for sure and there will be plenty of opportunities in the fall for the three year olds to match up against older horses. 3. 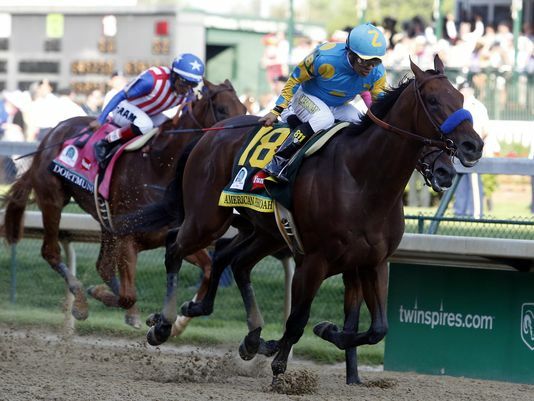 Is American Pharoah a Legitimate Threat to Win the Triple Crown? In the immediate aftermath of the Kentucky Derby (literally the first 10 or 15 minutes after the conclusion of the race), many opinions are thrown around about whether or not a horse can go on and win the elusive Triple Crown. Well, that is only going to intensify with the advent of social media to get opinions out there within mere second of the conclusion and there are usually only two camps; one that is adamant he will win the Triple Crown and another that is adamant he will not win the Triple Crown. This author falls in the latter camp that does not think he will win the Triple Crown. Of course, that is hardly an inclination of whether or not he will. First, he must win the Preakness before even having a shot at winning the Triple Crown, but he is quite likely to win the Preakness shortening up a half furlong. Secondly, he had a dream trip in the Kentucky Derby just off of Dortmund and Firing Line, but he did not have that huge burst of speed at the top of the stretch to pull away from his foes. Then again, maybe he was being saved by Victor Espinoza. Third, the Belmont is called the Test of Champions for a reason. It is the third race in five weeks and it will be American Pharoah’s fourth race in eight weeks. There is a reason 13 horses have tried since 1978 and failed to win the Triple Crown. The grueling mile and a half journey will not be kind to him. Again, none of this is a guarantee American Pharoah will not win the Triple Crown, but history is against him. 4. What do we do with the horses that finished well? Given the slow pace of the Kentucky Derby, it is hardly a shock that few horses were able to close in the final quarter of a mile. On Saturday, there were only three horses that were really identified as being able to make up ground in the stretch. 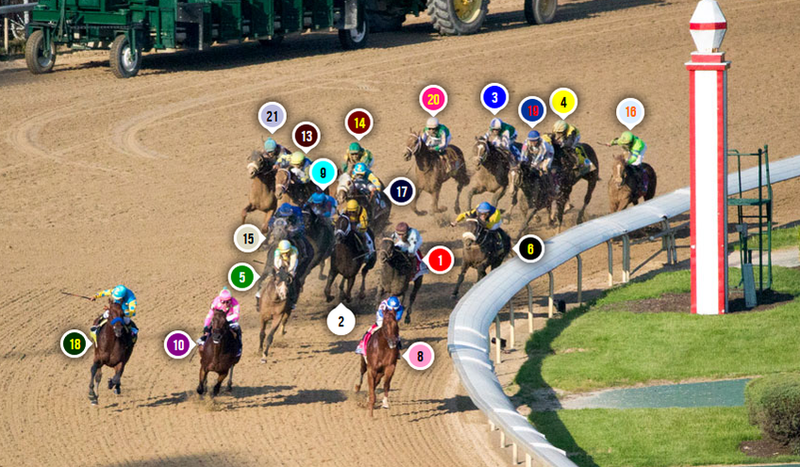 Below is an image (courtesy of Blood-Horse) of the horses turning for home to provide an idea of where each horse was. The three horses we will focus on are #3 Materiality (near the top of the photo) #14 Keen Ice (to the left of Materiality) and #15 Frosted (middle of the photo to the left). The most impressive of the three horses mentioned was Materiality, who came from way back in the field as seen in the photo. He did well to go from nearly last to sixth in the final quarter of a mile and he ran the final two furlongs in :25.61, according to the Daily Racing Form. None of that even mentions the poor start he had. Frosted was the only horse to be shown during the live running of the race to have closed well. He just missed third place from Dortmund, but he was closing even prior to the final quarter of a mile. Between the six furlong and one mile calls, Frosted went from 15th to 7th and ran that quarter of a mile in :23.97. He slowed down in the stretch, but still did well to make up the ground he did into such a slow pace. His final quarter was timed in :25.98. The only other horse to make up ground was Keen Ice. Coming into the Kentucky Derby, most knew he would make one run and needed some pace to have a chance to hit the board. That proved to be the case. He was immediately brought to the fence at the start of the race and continued to race near the back of the field throughout. At the top of the stretch he had five horses beaten and then closed to to finish seventh, losing by 8 3/4 lengths. The obvious thinking here is that these horses will be prime candidates at Belmont going a mile and a half in the Belmont Stakes. 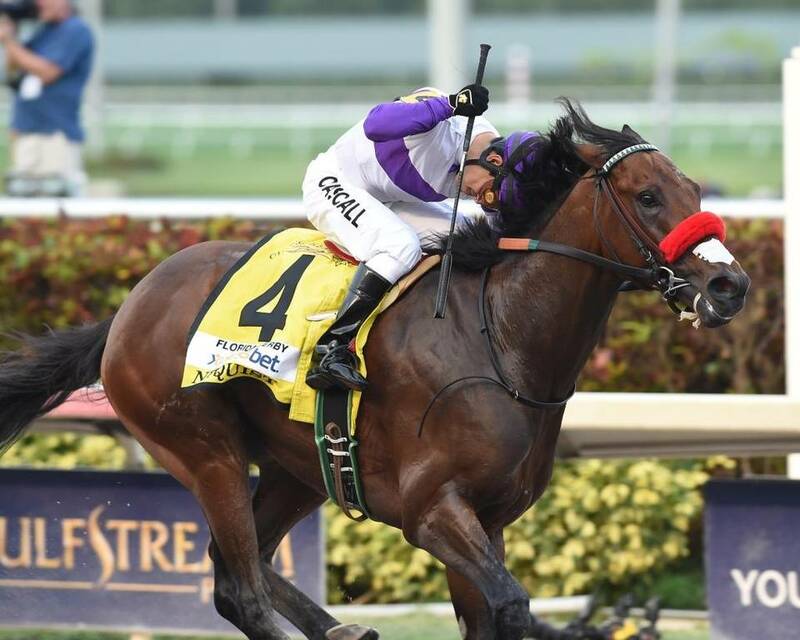 Just last year, Wicked Strong and Commanding Curve (the fourth and second place finishers in the Kentucky Derby respectively), were considered possibilities to win. The former finished in a dead heat for fourth and the latter was eighth. In 2013, the second and third place finishers from the Derby, Golden Soul and Revolutionary, were the deep closers who hit the board in Kentucky. They finished ninth and fifth respectively in the Belmont Stakes. In 2012, Dullahan closed to finish third in the Derby, but failed to do so at Belmont. He finished seventh as the 5/2 favorite that day. Ice Box in 2010 was expected to do well in the Belmont Stakes. He ran fast closing second in the Derby, but failed at the 9/5 favorite in the Belmont by finishing ninth. A lot of people think back to a deep closer winning the Belmont in Jazil (2006). That was nearly a decade ago. The problem with deep closers is two-fold. First, the pace of the race needs to be somewhat fast for a mile and a half. Second, they need to be able to get a mile and a half. Deep closers can win the Belmont, they just need a lot of things to break their way in order to do it. 5. Is the Kentucky Derby Points System Working? This is a tricky question because everyone has a different idea of how it should work. 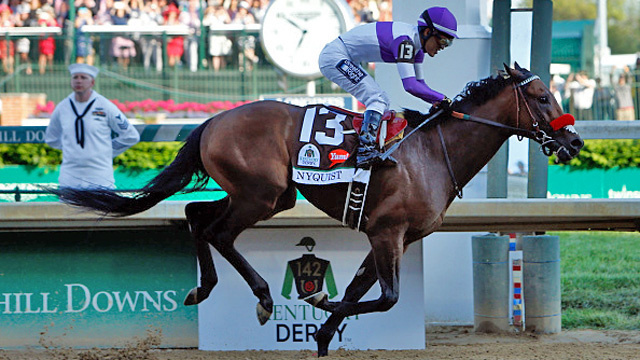 2015 marks the third year of the Kentucky Derby points system. Coincidentally, it also marks the third straight year that a favorite won the Kentucky Derby. Make of that what you will. It is probably not a mistake that the fractions have slowed down dramatically since the inception of the points system. 2013 saw an opening quarter go in 22.57 and the opening half mile in 45.33. In 2014, it was 23.04 and 47.37 while 2015 was 23.24 and 47.34. The reason for this is simple. There is no more cheap speed in the Kentucky Derby. In 2012, the last year without a points system, a horse named Trinniberg entered the Kentucky Derby. His prep racing coming into the Derby was the Grade 3 Bay Shore Stakes at 7 furlongs on the main track. He ended 2012 by winning the Grade 1 Breeders’ Cup Sprint. There can still be unexpected speed in the race. Take 2013, for example, when Palace Malice shocked nearly everyone when he went straight to the lead under Mike Smith and tried to go gate-to-wire though he tired on the far turn. It is clear that the Kentucky Derby points system is keeping sprinters out of the Kentucky Derby and that is not necessarily a bad thing. However, it has led to slower fractions and favorites winning the last three years. It is up to you to decide if that means the system is working. Perhaps, and this is simply conjecture, is that more horses will be bred to go the classic distance of a mile and a quarter. It is still possible to have speed going 10 furlongs, though stamina will be needed to allow a horse to last the distance. The Kentucky Derby points system will be fun to keep an eye on for the future and how it affects those who enter in Derby prep races. We may continue to see favorites or we may start to see a parade of long shots. 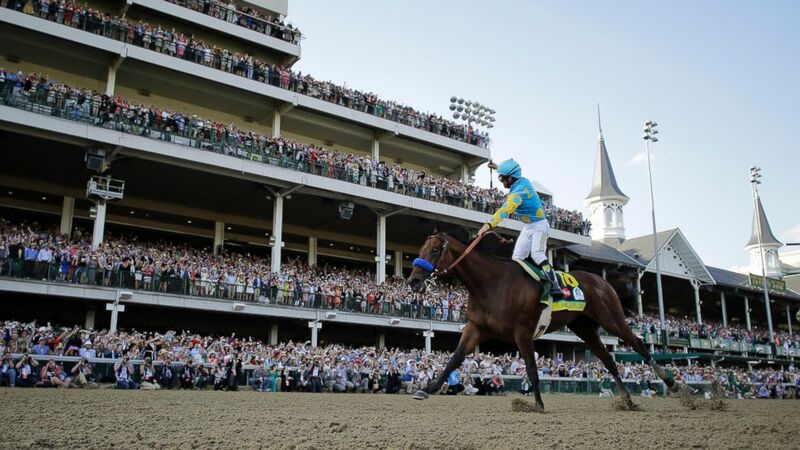 We are approximately one day removed from the 2015 Kentucky Derby and American Pharoah‘s one length victory, but there are still some lessons that we learned. There are also some questions that remain unanswered. Below is what we learned from the 141st Kentucky Derby. It seems so simple, but it was clearly true for the Kentucky Derby on Saturday. Dortmund led Firing Line and Pharoah through some dawdling fractions for the Derby. His opening quarter was in 23.24 and opening half mile went in 47.34. For horses of that caliber, that is a cake-walk and makes them very difficult to defeat. The first quarter of a mile in 23.24 was the third slowest since 2000. Now, it is clear why so few horses were able to make up ground. The leading trio set an easy pace and were able to stride home without much of a chance of fading back to the rest of the field. This probably is not news to most avid followers of horse racing. After his three horses failed to win on Saturday, trainer Todd Pletcher now stands at 1 for 46 in the Kentucky Derby. His lone win was Super Saver in 2010. What is amazing is that few trainers, if any, get more highly regarded two year olds than he does. Yet, he has a sub par record of leading those two year olds to Kentucky Derby success. He has had some good horses in the past, but this was regarded as part of his best crop of three year olds. To be fair, Pletcher has not had the best luck when it comes to the Derby. In 2011, he had highly regarded Uncle Mo only to see that horse scratch prior to the Derby. Just a year earlier in 2010, Pletcher had Eskendereya scratch from the race and he probably would have been favored. It will be difficult to back any Pletcher trained horse in the Kentucky Derby for a while, at least from this perspective. Despite all the hype regarding Mubtaahij’s chances in this year’s Kentucky Derby (full disclosure: this author had him as the top selection. Ouch. ), he only managed to finish eighth. If we go back to 2009 when Regal Ransom tried the UAE Derby to Kentucky Derby route, we will see that a serious trend has developed. In 2009, Regal Ransom won the UAE Derby and then finished eighth in the Kentucky Derby. In 2011, Master of Hounds finished second in the UAE Derby, then went on to finish a respectable fifth in the Kentucky Derby. In 2012, Daddy Long Legs won the UAE Derby and then finished last (20th) in the Kentucky Derby when he had to be eased. The 2013 UAE Derby winner Lines Of Battle finished seventh in the Kentucky Derby and last year Toast of New York was not pointed towards the Kentucky Derby. However, Toast of New York did run well at Del Mar on polytrack finishing second in the Grade 1 Pacific Classic. He then ran second in the Grade 1 Breeders’ Cup Classic on dirt to end the year. That foreign horses run decent races, but are not a serious threat to win the Kentucky Derby at this time. This could be due to the large amount of travel they have to do from Dubai (or wherever they ship from) to the United States. That can take a lot out of a horse. Another reason could be the breeding. Most foreign bred horses are simply not bred to run on dirt. Yes, some do well over the main track (see Toast of New York or Giant’s Causeway), but by and large, most are not suited for it. It is the same way with American turf horses going overseas. They are usually trounced on turf in France, Great Britain, Dubai, or Hong Kong because they are not as royally bred to win on turf (and at longer distances). That does not mean that it cannot change in the future. It very well could, but not for the foreseeable future. This is a nice way of saying some people do not know the way odds work. The best examples that can be provided from the 2015 Kentucky Derby are in the form of Ocho Ocho Ocho and Mr. Z.
Ocho Ocho Ocho went off at odds of 26.10-1, which equates to a $2 win payoff of $54.20. That means that Ocho Ocho Ocho had roughly a 4% chance of winning, based on the odds. However, most people would agree that he had a far worse chance of winning the Kentucky Derby, meaning his odds were not in line with the expected payoff. The other, and best, example is that of Mr. Z. While we can debate whether he should have been in the Kentucky Derby, his off odds of 36.60-1 did not provide fair value. Unless a person thought he had a 3% chance of winning (or better), then those odds were a steal. However, looking at his form coming into the Kentucky Derby, he had a sliver of a chance in this race, thus making his win odds disproportionately negative for those who bet him. Seeing disproportionate win odds is nothing new, however. Call it the “Mine That Bird” effect. When Mine That Bird won the Kentucky Derby in 2009 at odds of 50.60-1, he shocked many with the victory (including this author). What we saw in the subsequent years were ridiculous odds that were far too low. In 2010, the Kentucky Derby saw only two horses at odds of 30-1 or higher. In 2011, no horse went off at odds higher than 40-1. There was a bit more realism in the wagering for 2012 when two horses went off at odds of 55-1 or higher, but 2013 was back to no horses under 40-1 on the tote board. Even last year saw no horse go off at odds of 50-1 or higher. In 2015, we saw a horse go off at nearly 70-1 odds (Frammento went off at 69.50-1). There are two reasons for this “Mine That Bird” effect. The first is that people want to be on a long shot, any long shot regardless of the odds. If a horse is 30-1, people want to be able to say “I picked the 30-1 winner of the Kentucky Derby” and it does not matter if that horse should have been 50-1. The other reason is that there has been a parade of long shots winning prior before 2013. I’ll Have Another won at 15-1 in 2012, Animal Kingdom won at 20-1 in 2011, Super Saver won at 8-1 in 2010, and Mine That Bird won at 50-1 in 2009. Of course, the favorites have won the last 3 years, which may produce more realistic odds in the future. This sounds intuitive, and it is, but this is worth repeating. Luck is a big part of winning the Kentucky Derby. A bad step here or there and you will have to take your horse out of the race. For example, we saw Stanford, El Kabeir, and International Star all scratch prior to the race. The latter two were due to foot issues while the former was made to point to a different race. Had Stanford stayed in, perhaps the pace would have been quicker and allowed closers a better chance. We will never know. Another reason why luck is a part of it is in the draw for the race. Todd Pletcher had bad luck when his two best horses drew side-by-side at two (Carpe Diem) and three (Materiality) in the gate. It is widely accepted that drawing to the inside is at a disadvantage due to the amount of horses that come over to the rail from the outside going into the first turn. The draw could have affected the pace of the race as well. Then again, maybe it would not have mattered at all. No matter how you look at it, luck is and always will be part of the Kentucky Derby equation. This is what we learned from the 2015 Kentucky Derby, but what questions still linger after the running of the 141st Kentucky Derby? Be sure to check back to find out.